Since 2012, Klei has used Early Access as a tool to gather feedback and build our games in collaboration with our community, producing games like Don't Starve, Don't Starve Together and Invisible Inc.. We've found this process works for us, and we hope you find it works for you, too. Our current project, Oxygen Not Included, has already majorly benefited from the feedback provided by players during its Alpha period. By releasing this game in Early Access, we hope to continue to grow our community and get more people involved in its development. We still have a lot more in store for Oxygen Not Included, and plan to continue growing and updating the game well into 2019. 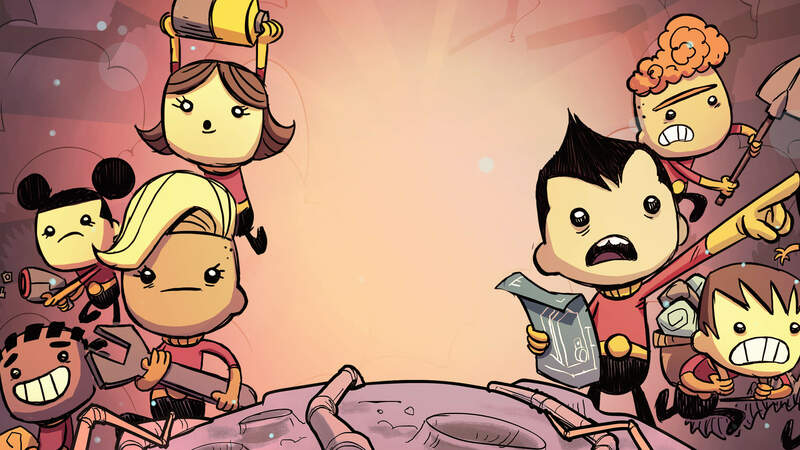 The plan for the full version of Oxygen Not Included is to create even more content to allow players to manipulate, automate, and harness the world their Duplicants live in. Duplicants will also become more robust as their needs and abilities evolve over time. To complement this, there will be new biomes to discover, new creatures to interact with, world events to deal with, and more. We will also be exploring the lore of the game, slowly uncovering the history of the world and why the duplicants are trapped on a giant rock hurtling through space. Oxygen Not Included currently contains all the core systems that will be evolved and iterated upon during Early Access such as thermodynamics, density, plumbing, stress and hunger. The game has already been played by over 1,500,000 players in its current state, many of whom report hundreds of hours played. We're amazed by the breadth and depth of creations that players have made and we're looking forward to building upon that." The base price may be increased upon release from Early Access. We're continually talking to our community about our design process and keeping them informed of our decisions and improvements with regular updates. Please join the discussion on our forums.